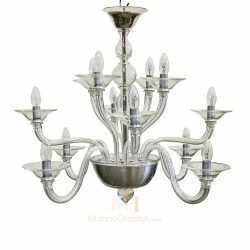 Add a touch of mystery, elegance and luxury to your home. 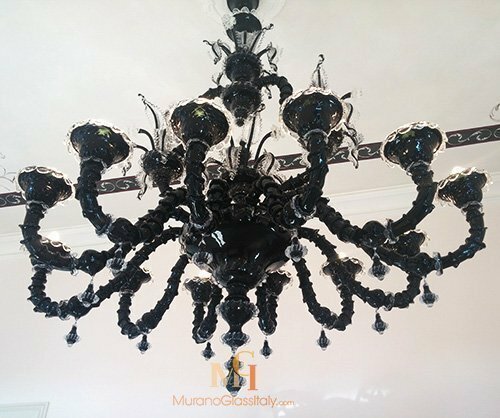 Lampadario del Re (The Chandelier of the King) is a wonderful composition of beautifully hand crafted branches and shining black pendants falling from beneath. 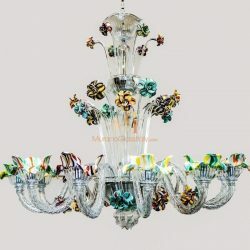 The numerous clear crystal blossoms, which orbit around a center, gives the chandelier a luxurious and delicate look. 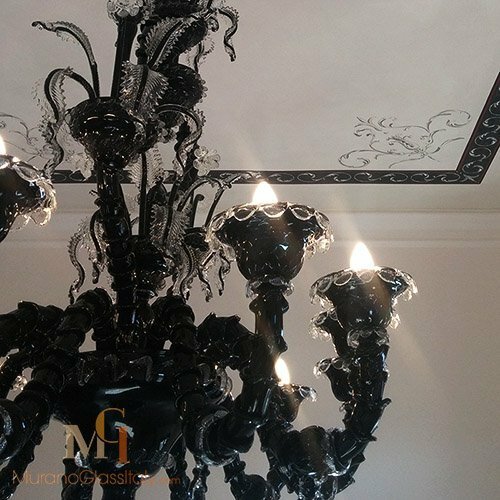 Great attention to details characterize this gorgeous masterpiece. 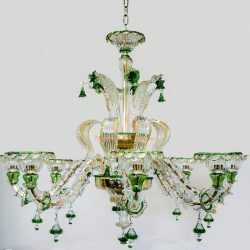 This stunning example of unique artistry goes back to the thousand years old Venetian glass blowing tradition. 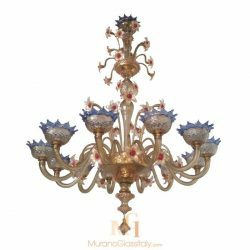 All pieces of the Luxury Venetian Chandeliers Collection are 100% handmade masterpieces, made in Venice, Italy. 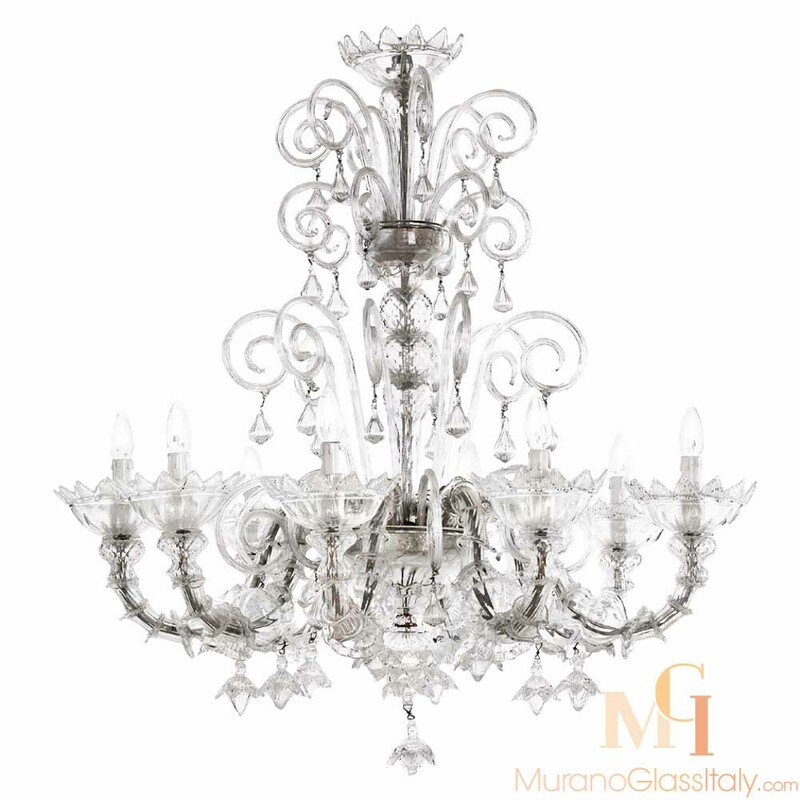 Please note, that the chandelier can be customized in the number of lights and colors to fit your interior perfectly, for more information contact us at customer@muranoglassitaly.com.